-April 2019 I'm honored to be a "Gallery Girl" and one of my "retro/vintage" cards is published in Retro Hip Magazine Spring issue on page 71 available in digital or print copies "here." -April 2019 Chosen Top Pick for the week for their WWC#215 with my lovely "rainy day" Unity Harmony Angiegirl card project "here." -January 2019 Winner of the Holiday Seasons Challenge that covered Oct thru Dec holidays. See tutorial and details of the winning Fall card "here." -October 2018 chosen as one of four Winners of Challenge #423. See tutorial and details of the winning card "here." 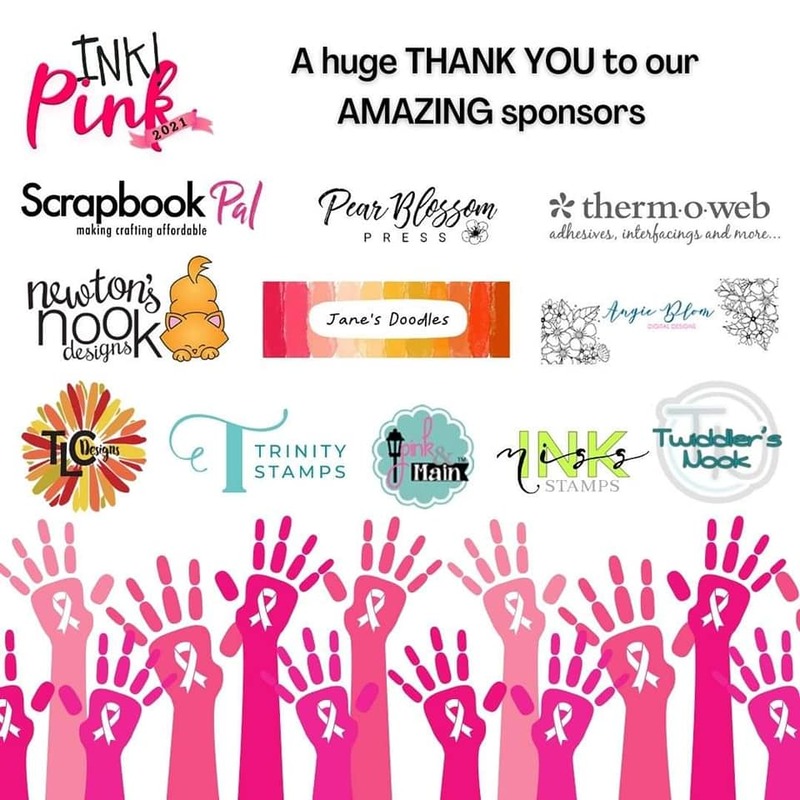 -August 2018 I was invited to join an amazing talented group of Designers who Blog Hop on the first Saturday of every month showcasing our love and obsession with Unity stamps and giving away prizes too! 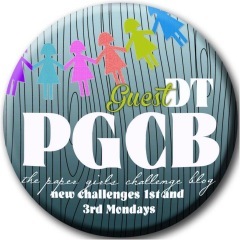 I will join them on September 1st for our next Blog Hop. So stay tuned for some Unity awesomeness. -July 2018 I was asked to be a Guest Designer on the Crop Stop Blog on August 24th and August 31st and I can't wait to get creating. -February 2019 chosen as the Instagram Admin for CAS-ual Fridays Stamp Company. It's a clever, stylish company with sorta sassy stamps and die cut designs, made in beautiful Colorado since 2012. All the stamp and die sets are made in the USA. -July 2018 I am so excited to be chosen as the Official Girl Friday Pin Pal Admin for CAS-ual Fridays Stamp Company Pinterest Board. -July 2018 chosen as a winner at the June Crop Stop Link Party Challenge. See my winning card and tutorial "here." -June 2018 chosen a Top Pick at the Love To Craft Challenge Blog with a creative thank you gift for some special teachers. Tutorial and project "here." -February 2017 to December 2018 on the Craft Fantastic Allstars Design Team. An amazing company out of Albuquerque, NM that specializes in high-quality, jeweler grade products for exquisite personalized handmade jewelry, design one-of-a-kind embellishments for card projects, scrapbook layouts, or home decor projects. -December 2017 Featured by Paper Issues in their Fan Feature Friday: Holiday Happenings #1 Project. Tutorial "here" for Santa Train Album. -October 2017-One of my Autumn card projects is published in CardMaker Magazine Winter 2017 issue and digital issue. -August 2017-Top 4 Winner at Little Red Wagon Challenge #404-Sing, Sing a Song with this lovely project nicknamed "butterfly kisses"
-Over the summer I was contacted by CardMaker Magazine to be a guest designer on their Blog for September and November 2017. So be on the look out for some Fall and Holiday tips and ideas. Winter 2017 issue, due out October 2017. -February 2017 selected as a Top Pick Winner at "4 Crafty Chicks"﻿ for Challenge #338-Charms with my "Charming Card + Charms." ​-February 2017 selected as the Top 4 Featured Pick Winners at "﻿Little Red Wagon"﻿ for Challenge #381 Season Of Love with my "Charming Card + Charms." -February 2017- December 2017 selected to be on the ﻿Craft Fantastic All Stars Design Team﻿ in Albuquerque, NM. They specialize in high-quality, jeweler grade products for exquisite handmade jewelry, design one-of-a-kind embellishments for card projects, scrapbook layouts, or home decor projects. And I'm honored to be on their inaugural design team. -February 2017- I was selected as a Top 6 Pick Winner at CYCI (Can You Case It) Challenge #145 with my one sheet wonder-snowman "thank you" cards. 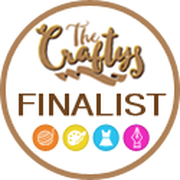 -January 2017 The Craftys picked my project as a Top 10 Finalist in the Paper Crafts / Scrapbooking 2016 category from over thousands of nominees for my 12x12 Wintertime layout! -December 2016 I was selected as one of the Winners of the Stampin' Royalty Goddess Winners for Challenge SR#357 with Frosty and Santa Holiday Gift Tags. - December 2016 I was selected as one of the Winners of the My Sheri Crafts CHALLENGE #195-Winter with my Frosty and Santa Holiday Gift Tags. -November 2016 I was selected as a Top 3 Winner of the Really Reasonable Ribbon Challenge #151 with my Halloween Spiderweb card submission. -November 2016 I was selected as one of the October Winners of the My Sheri Crafts CHALLENGE #193 - Creepy....Crawly! with my Boo card and Spiderweb card Halloween submissions. -November 2016 I was selected as the October Challenge winner for the weekly challenges at "The House That Stamps Built." -Design Team from June-Dec 2016 on the Epiphany Crafts Design Team, an innovative company in Kent, Washington that produces unique tools for custom epoxy embellishments. 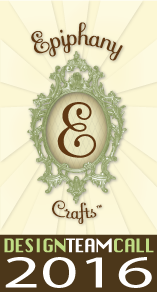 Which allows crafters to create their own one of a kind embellishments on cards, layouts, jewelry, and so much more. 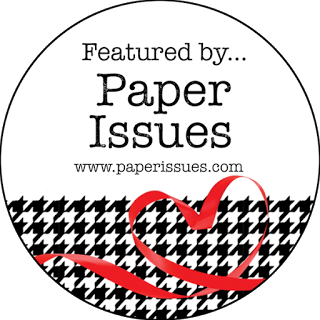 -April 2016 Featured by Paper Issues in their Fan Feature Friday: Into The Woods Project. Tutorial "here" for a Happy Fall Moose Xing Card. -May 2016 selected as the proud recipient of the "Golden Egg Award" from "4 Crafty Chicks" for the Favorite Era Challenge. -Design Team from January-June 2016 as a contributing blog writer and designer for CardMaker online Blog Team. 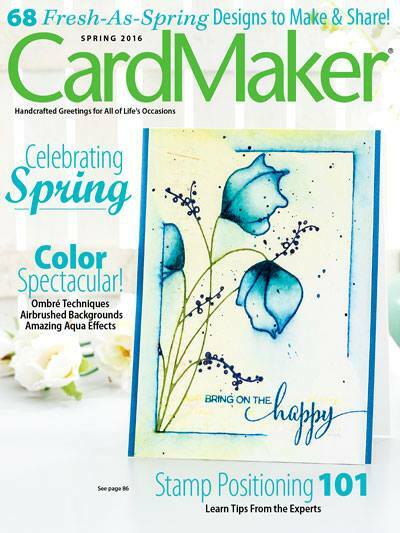 -Dec 2015 two of my Spring card projects are published in the CardMaker Magazine Spring 2016 and digital issue. -Dec 2015 selected as Entry Winner #56 of The Paper Girls Christmas Challenge. See card tutorial here. -Nov 2015 selected for something special...A BIG Announcement will be made the first week of January 2016!!! Spring 2016 issue, due out January 2016. -November 2015 The Craftys picked as a Top 10 finalist in the Paper Crafts / Scrapbooking category from over thousands of nominees for my Christmas Gift Card Album! Celebrating the Best in Crafts. Winners announced Nov. 6th, 2015. 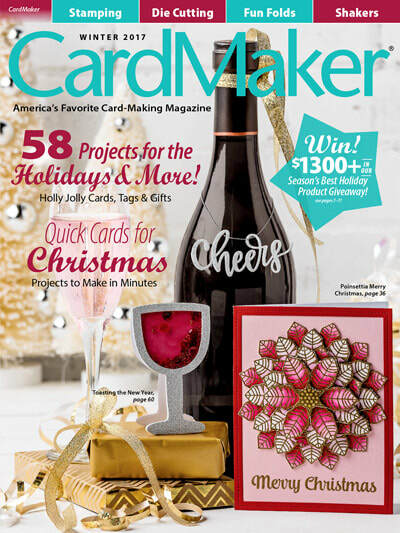 -September 2015 one of my holiday cards is published in ﻿CardMaker Magazine Winter 2015 issue and digital issue. Winter 2015 issue, due out October 2015. 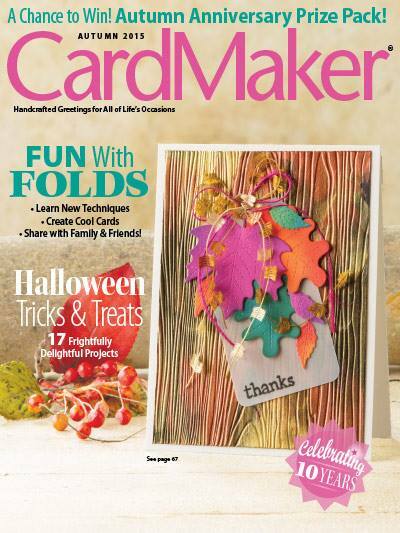 -July 2015 four of my card projects are published in CardMaker Magazine Autumn 2015 issue and digital issue. 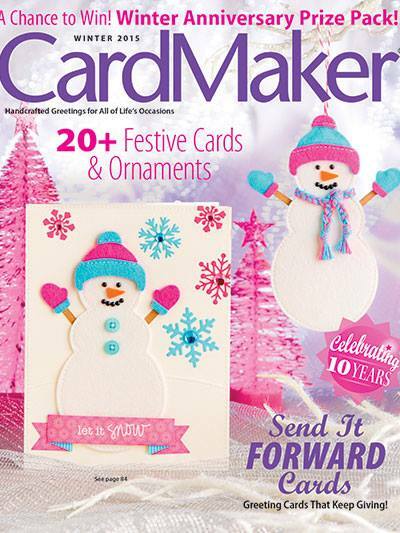 -December 2014 selected to be published for the first time in CardMaker Magazine Autumn 2015 issue, due out July 2015. -Design Team from March 2015-August 2016- on my very first design team Eat Cake Graphics Design Team, a whimsical rubber stamp and fabric company in California. -Design Team from March 2015-July 2015 with Scrap It Girl Design Team, Monthly Craft Challenges in Wisconsin. ​-July 2015 selected as the featured card for "Little Red Wagon" beach theme challenge. 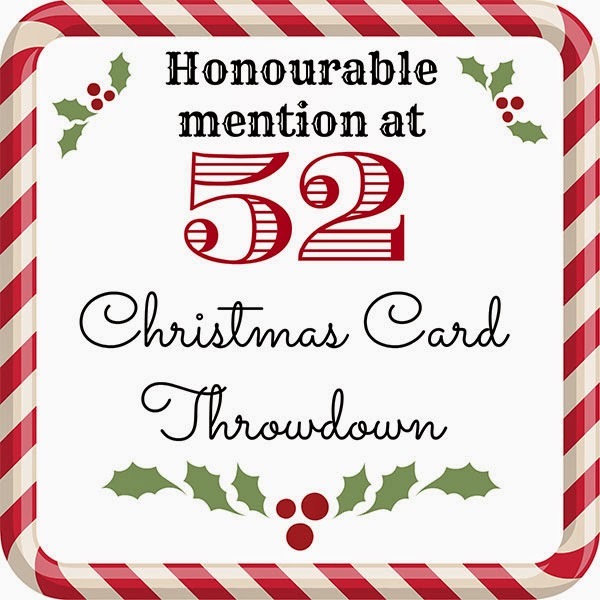 -July 2015 awarded "Honourable Mention" for the snowman card challenge at the "52 Christmas Card Throwdown." -August 2015 selected the July winner for the July weekly challenges at "The House That Stamps Built." 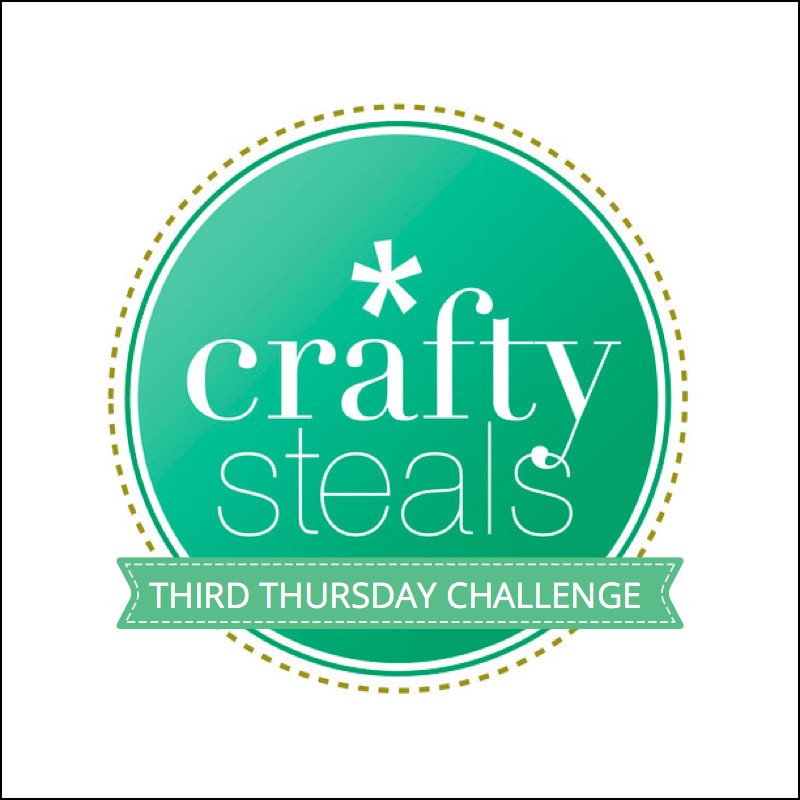 -August 2015 selected the July winner with my cute snowman card in the "CraftySteals Third Thursday Challenge." -September 2015 selected as the proud recipient of the "Golden Egg Award" from "4 Crafty Chicks" for the Fall Challenge. -March 2015 selected as the "Blog of the Month" feature article for Papercraft Inspiration Magazine, Bristol, England. The UK's #1 craft magazine. To be published in the June 2015 issue #139, in the UK and the USA available at Micheals, JoAnns, and Barnes and Noble.